WGC is off to Tanzania! We said Farewell and prayed for safety, a spirit of openness, and being present (as Sr. Dot was fond of reminding all of us) for Tere Dresner-Salinas and Faith (Toni) Myers. Tere left from San Antonio this morning and will meet Faith in Washington D.C. before the two continue on to Tanzania. They will arrive in Dar es Salaam tomorrow night and take a short plane ride to Bukoba on Saturday morning. The women of BUWEA are anxiously awaiting their arrival for capacity building at the Childcare Center and with women’s groups, including a mom’s group from the Hekima School. The two will also work with Hekima teachers on topics to benefit the girl students as they become leaders. Look for more posts about their travels in the next few weeks. WGC’s and BUWEA’s friend Neeta Singh just returned from Tanzania where this time she met many of the new members in outlying villages and assisted BUWEA with soy product development. (Tere, center, surrounded by WGC staff and volunteers. Thanks to 13 year old Ruthie Brown, niece of Alison Buck, for taking the photo). 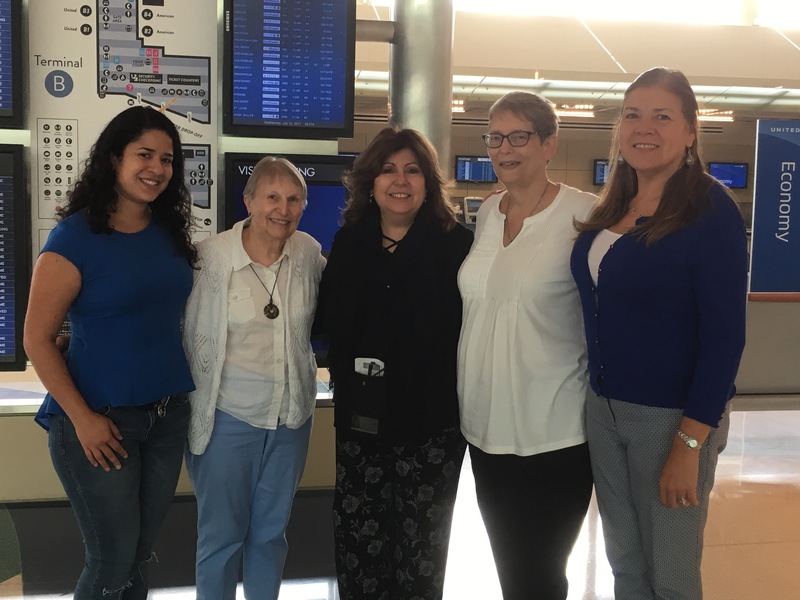 Genoveva Contreras C… on WGC is off to Tanzania!